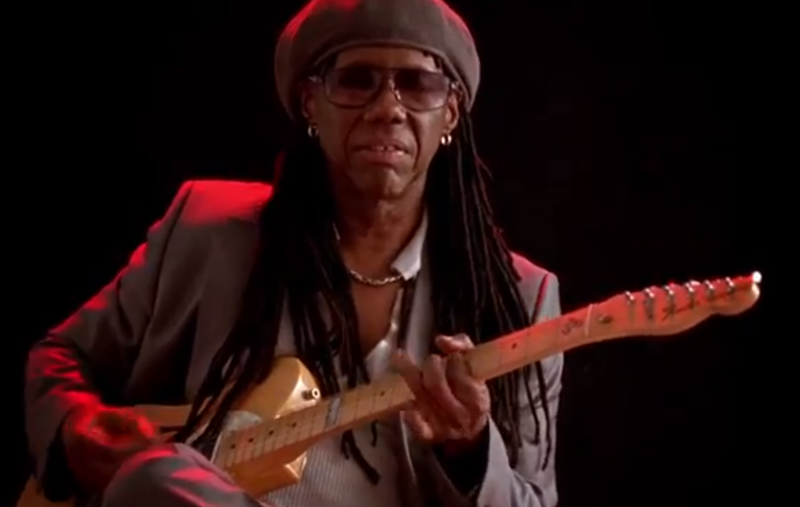 The third installment of the Collaborators videos promoting the upcoming Daft Punk album features Nile Rodgers, the hit making producer of Chic fame. It's amazing to hear a virtuoso with so many chart toppers under his belt saying Daft Punk challenged him to "up his game." Rodgers reveals that some of the recording for Random Access Memories happened inside Electric Lady Studios, the legendary facility originally constructed by Jimi Hendrix in which so many famous artists have laid down tracks, from Madonna to Kanye West to Stevie Wonder to Bad Religion to AC/DC, Hall and Oates, and Miley Cyrus. Rodgers himself used to perform in the place when it was still a bar, he says. "I feel like I'm working with people who grew up with me and who feel it the same way we felt the vibe when we were creating this stuff," Rodgers says. "It's like they went back to go forward." "Random Access Memories" is due out May 21 in the United States!